CBE 12V LPG and Soporific Gas Detector. The kit includes: "MAC1P" frame, "MAD" spacer for the wall fixing. 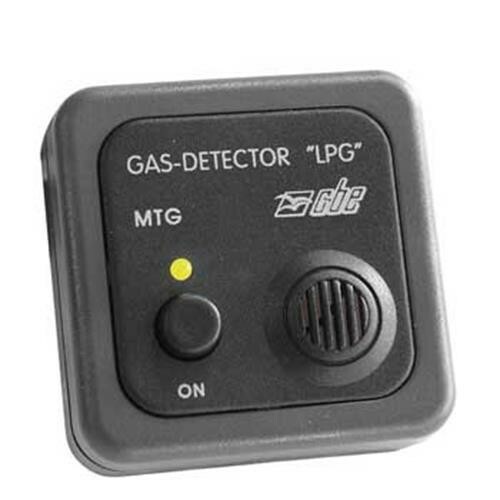 The LPG (liquid petroleum gas) detector, specially designed for the caravans, motorhomes and boats detects the presence of LPG gases in the air. 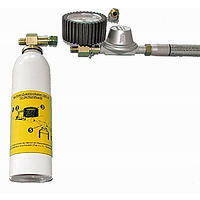 This gas is probably most likely to be present because of a fault in the motorhome gas system. 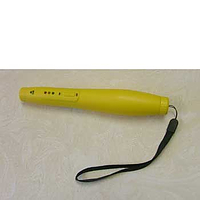 This device has been specifically designed for the protection against LPG. An audible alarm informs about the presence of gas in the air before it affects people inside the compartment. The sensor signals (by means of very loud noise) the presence of LPG inside your vehicle before its concentration reaches a tenth of the minimum level necessary to cause an explosion. The sensor has two different setting options that can be selected with the jumper placed on the back, which allow to modify the sensor's sensitivity according to the use and the installation position.